Harry Potter fans, get ready! 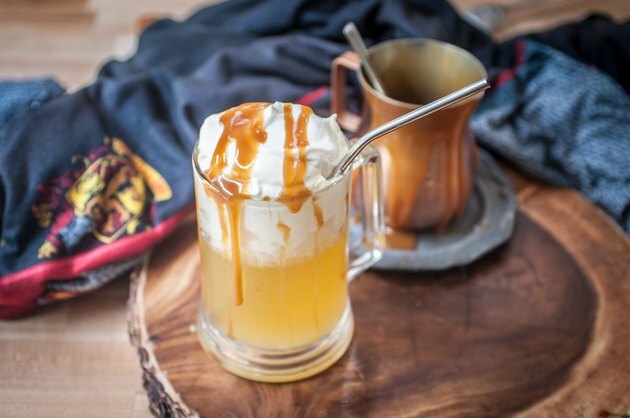 This is the best homemade Butter Beer recipe with easy tips to make it in advance of a party. Add the heavy cream, powdered sugar and vanilla to a bowl and beat on high until soft peaks form. 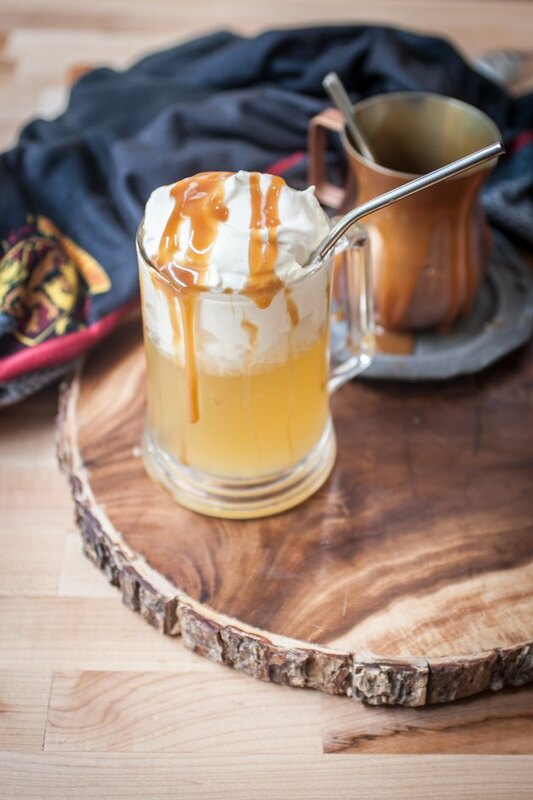 Drizzle in two tablespoons butterscotch, then beat until well combined. Set aside. Why powdered sugar and not granulated? Because powdered sugar is a stabilizer, it keeps the cream whipped! 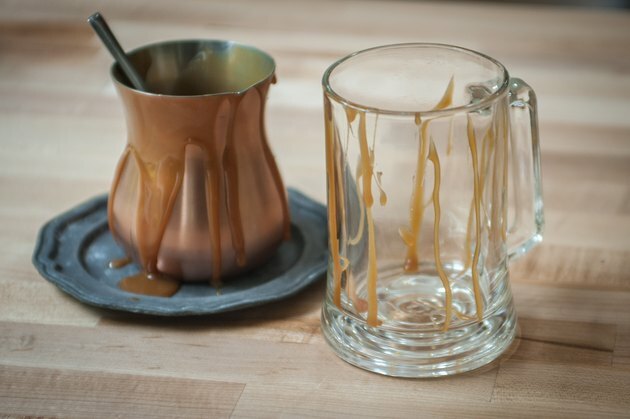 Drizzle the insides of the serving mugs with butterscotch. 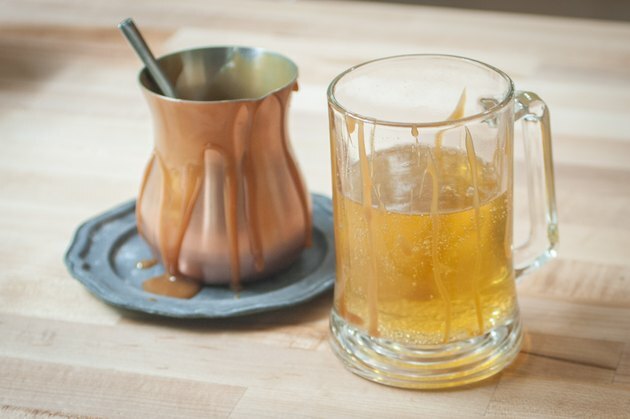 Fill the mugs 2/3 full with cream soda, add a splash of butter extract (about 1/8 teaspoon), and stir gently to combine. 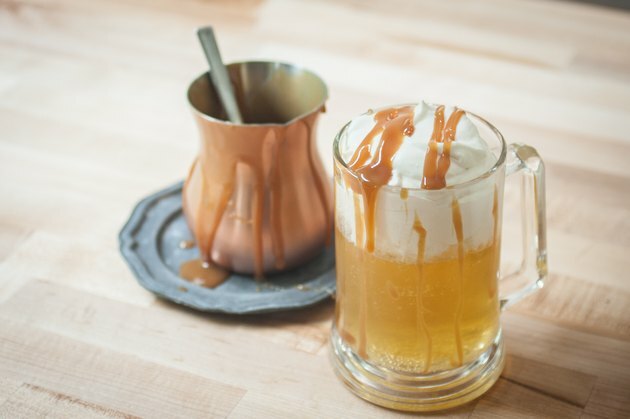 Fill the remainder of the mugs with whipped cream, and drizzle with butterscotch sauce. Want to make this in advance? No problem! Prepare all the mugs and place in the refrigerator. 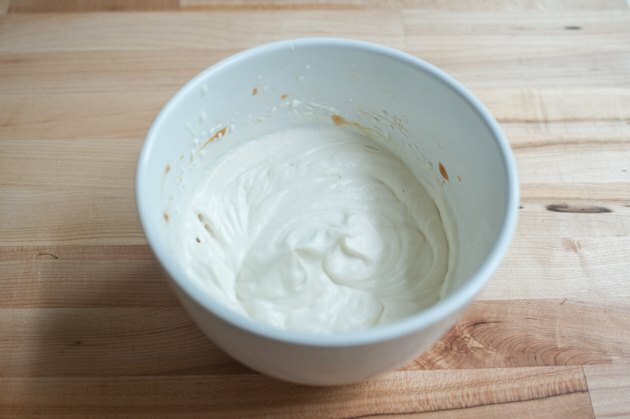 Prepare the whipped cream, and add to an air-tight container in the fridge. 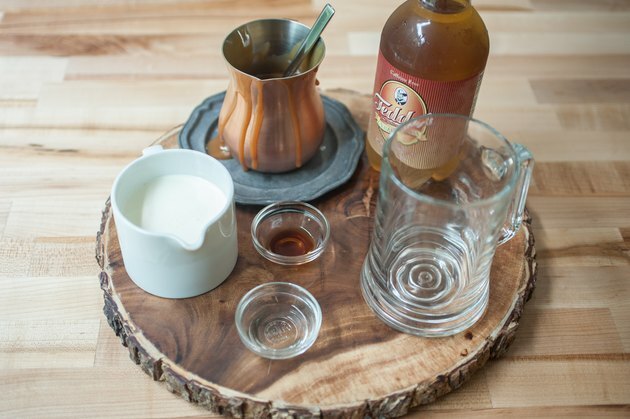 Just fill the mugs and serve when you're ready!